To fuel that engine, industry leaders such as Intel and Nike must continually attract talent from around the country and the world. Surveys consistently show that the Tualatin Valley’s clean air and water, and the proximity of its residential communities to outdoor recreational opportunities, rank among the top draws. Whether it’s paddling and fishing the local waterways, exploring vast forests and parks, pedalling along roads and trails, or indulging in the delicious bounty of agriculture, a natural adventure is never far away. In turn, thriving recreation, hospitality and tourism industries welcome visitors from near and far, generating valuable tax revenue and bolstering quality of life for the more than 600,000 full-time residents of Oregon’s most diverse county. Tree for All also impacts the economy directly. Watershed resiliency and stewardship projects create sustainable, living-wage jobs across the numerous sectors that have been strengthened as a result of our investments. The native plant industry, for example: In 2005, when Tree for All launched, sourcing large quantities of native plants at competitive prices remained a challenge. Today, the region successfully produces and plants more than a million native trees and shrubs each year. And nursery products are just the start. The rejuvenated landscape produces vast quantities of fruit, vegetables, tree nuts, and medicinal herbs; grains, hay, grass seed, and more. Property values, meanwhile, continue to improve. 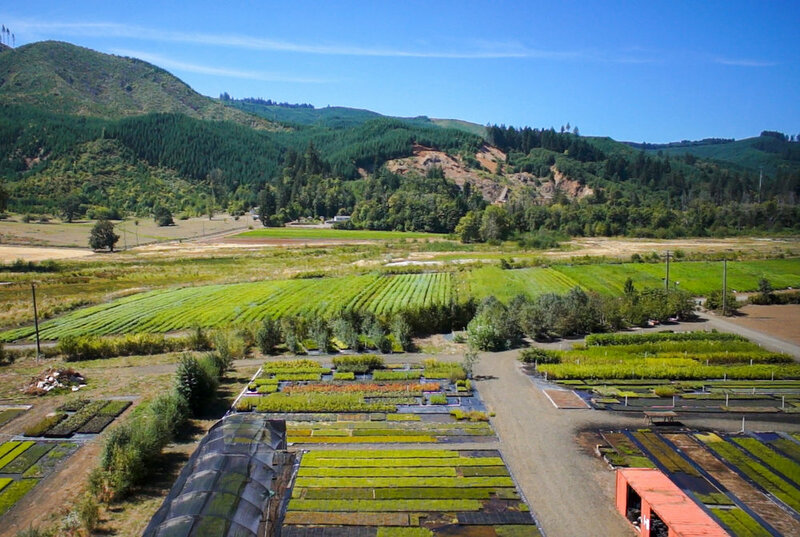 As committed stewards of the watershed, Tree for All partners are dedicated to maintaining the Tualatin Valley’s desirability and the economic vitality that drives it.